Entrainment and Crystals - The 'Song' of Life | Is Science Finally Catching Up to What the Ancients Knew About Crystals? I saw this post on Zen Gardner, and wanted to share some insights about how crystals work to heal the body, mind and soul. Healing, like communication, is a process of entrainment. Entrainment is the ability of two or more systems to share information, which in turn affects their behavior, how they organize. We discussed this in relation to earthing in the post Earthing Restores the EM Fields in the Body | Earthing Science (Entrainment) and Health Effects. Information transmission occurs when one moving system, our bodies in this case, is in a location or orientation which allows the data from another system to enter it. So long as there is a common resonance, information will be shared. Our bodies are entrained within the Earth's frequencies, the so called Schumann Resonance of 7.83 hz, which means the framework and material of our bodies are organized around the same frequencies the Earth uses, and as such have a common resonance. The Earth acts like a tuning fork, adjusting our bodies to vibrate at a frequency in harmony with the Earth. When we place our bare feet on the ground, the electromagnetic vibrations make contact with our bodies and an equilibrium-ization of charge distribution occurs. The bodies functions, the biochemical activities within our cells, muscles, brains, etc work at their best within the frequency range provided by the Earth. In a sense when we make contact with the Earth to ground, we 'tune' our bodies to the key signature of the Earth. The metronomes initially are out of sync. Their unique vibrational signatures are insulated by the rigidity of the table. When they are placed on a surface that allows their vibrations to flow to one another, a process of equilibrium-ization begins. Now their vibrational signatures are communicated through the board. The board, and all the metronomes on it, create a new system, which begins to find a dominant resonant frequency, the harmony between them. Eventually, the communication by way of their vibrations interacts and they all begin moving in the same rhythm, they all sing the same song. This is an example of mechanical entrainment. 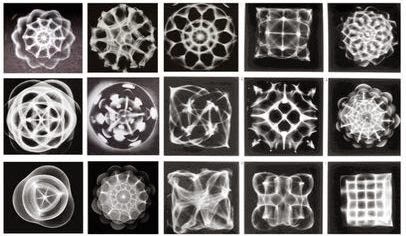 Cymatics is another example. A fluid containing sand particles is placed on a vibrating plate which moves the water at specific a frequency, and literally changes the movements of the fluid and sand to produce highly organized shapes. a moving system with a specific resonance signature. Crystals work by way of electromagnetic entrainment. Our cells communicate with each other and our consciousness using electromagnetic signals. When a crystal is formed, it is a process of environmental conditions, which entrain the geometry of the crystal to a specific lattice structure. 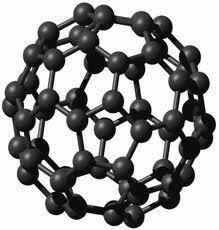 This lattice is a harmonic of the earth, sun and galaxy system. Literally the processes of chemistry are a form of electromagnetic entrainment, as such all chemical interactions are a process of entrainment, or the changing of behavior from one state to another as a result of data transmission between two molecules or atoms. Our bodies can be thought of as living crystals in this sense, or liquid crystal. The so called fourth phase of water, H3O2 is an example of this liquid or quasi crystal organization, a product of electromagnetic and mechanical entrainment. All of the biochemical activities within our cells require highly structured water latticing in order to work properly. Which is of course a process of entrainment. 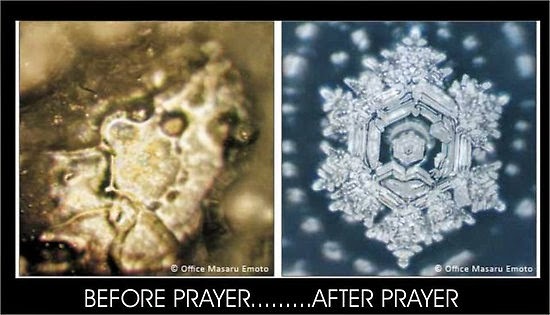 Dr. Emoto demonstrated in his various experiments that human emotion and even words have the ability to entrain geometry on to water. transmission into an organized geometry. Taking all these data points into consideration, crystals have healing properties because they function much like tuning forks. When we hold a crystal, the vibrational energy within it is transmitted to our bodies via the EMF signals. The crystal has a fixed geometry and as such can be thought of like the board in the metronome example. The board can not change its shape, but the metronomes can. Our bodies are similarly dynamic and the crystal is relatively static. The crystal is also a highly organized harmonic oscillator, meaning that it vibrates with many frequencies, low, middle and high, all in harmony with each other; like a symphony playing the same note at different octaves. Holding the crystal is like earthing, the body and crystal system begin to share vibrational information, and the system with less organization, our bodies in this case, rearranges to match the stronger signal in the crystal. 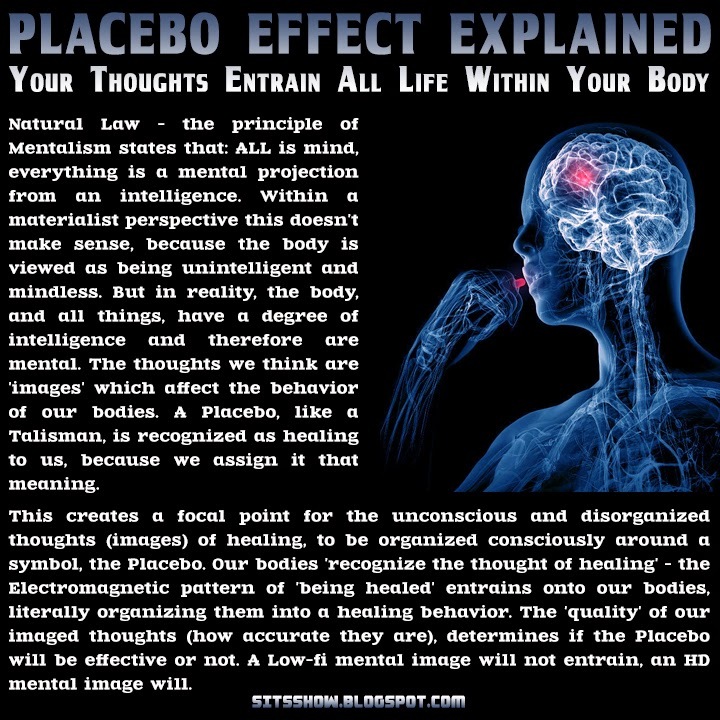 This is why crystals can be used for healing, but there is one last thing which makes them even more powerful; the mind. The mind is also a moving system. The body transmits data from the senses, which are transmitted across several different mediums. First the cells receive the data and send it through the nervous system as EMF signals, these are reflected into the brain and associated neurochemical interactions accelerate the flow of information beyond the speed of light, at the central focal point of the pineal gland. Dan Winter provides very detailed evidence for this process in his work. This information is then transmitted into the mind sector, above the speed of light, which organizes into thought structures; meanings, belief systems and perspectives. Things vibrating beyond the speed of light operate in the time-space sector, which has the ability to transmit data in 3 dimensions of time; please see this post for a detailed explanation of this. This is why focused attention, like a prayer, has the ability to organize the water. The mind's belief structure is charged with focused attention, this creates an auric or EMF field that is highly organized and entrains itself on to the water, making the shapes above. When we place our attention on something, the associated thoughts are charged, and we experience this charge as emotions, which change the EMF fields of our bodies, the so called auric field. As such, when a crystal healer uses focused attention, what some have called magic, they are using their own body as a resonator with the crystal as the tuning fork. The crystal entrains the body more readily with focused attention, organizing the thoughts of the practitioner, and affecting their auric field. Like the metronomes, they begin singing the same song, which is then bathed over the body of the person receiving healing. Because crystal geometries are a function of the elements used to make them, different crystals have different healing properties or frequency signatures. Some crystals have more harmonic resonance with specific organs or thought forms, than others. 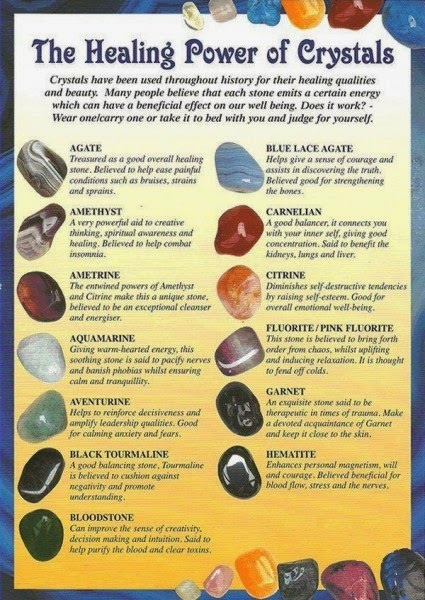 Hence some crystals can impart 'creative inspiration, or calming effects' because the mind and body have a common resonance with the crystal. Finally, crystals can also be used for spiritual growth if we become open minded, to them. By meditating on a crystal, the mind begins to organize as a result of entraining signals emitted, this is a free will choice, and is a modality of open mindedness, what some have called 'heart space resonance.' Spiritual growth can be thought of as a process of mental organization and expansion. The body remains relatively fixed, so does the spirit, but the mind is changing constantly, expanding and gaining knowledge. This is what is referred to as the 'seat of the soul' or the 'temple within' and is a process of accurately reflecting the relationships in reality within the mind. Spirit is synonymous with truth, in many accurate conceptualizations, as such spiritual growth can be thought of as a progressive process of truth reflection within the mind. Since the crystal is highly organized and has upper-level harmonic oscillations, it can assist us in opening our minds, and receiving the truth within. Shungite has been used for centuries to purify water in Russia. Peter the Great put a spa at the Karelia in the 18th century after experiencing the anti-bacterial properties of the water, and used the stone to provide purified water for his soldiers. Indeed, shungite appears to be an incredibly effective water purifier,removing almost all organic compounds including bacteria (and other microbes), nitrates, heavy metals, pesticides, volatile organics, pharmaceuticals, chlorine, and fluoride. 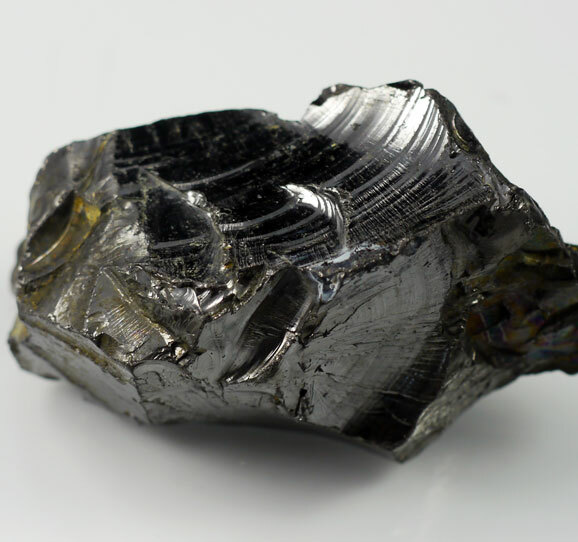 Shungite water has been shown anecdotally to help with a variety of ailments including asthma, anemia, allergies, gastritis, erectile dysfunction, cardiovascular disease, kidney disease, liver disease, diabetes, immune system deterioration, and chronic fatigue. Shungite water can be made by allowing the stone to soak in a container of water for up to 72 hours and then drinking 2-3 glasses per day. Modern scientific testing has also confirmed the antibacterial benefits of shungite.